From Laguna Beach and The Hills to her Instagram and Snapchat accounts, there are plenty of avenues for getting to know Lauren Conrad. But how well do you know the real her? The reality-star-turned-designer shared 25 fun facts about herself on her website, and we have a feeling there are plenty of things you had no idea about. From the origin of her middle name to a funny (and super awkward) high school memory, she shared tons of interesting tidbits, but we narrowed it down to our favorite five. Red on for our picks, and head over to her website to see the full list. 1. "I met my husband when I was 16 and sitting onstage at one of his concerts. Ten years later we were set up on a blind date." 2. "I have chipped (and had to fix) my front left tooth three times in the last year. Klutz." 3. "When I was in high school I was playing Twister at a pep rally in front of the entire student body and my pants fell down. I blame the low-rise jeans trend…"
4. "My name is Lauren Katherine, which is a version of my Mother’s first and maiden name, Katherine Lawrence, flipped." 5. "My go-to cocktail at a bar is an extra dirty martini." Scroll down to shop the LC Lauren Conrad collection from Kohl's! 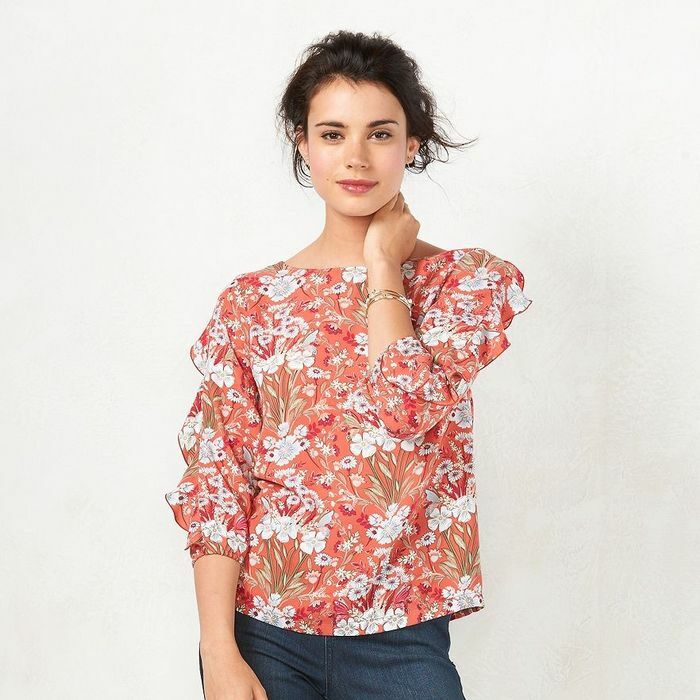 This top is as pretty as a painting. Meet your new favorite denim skirt. Yes, the choker trend is still going strong! Which fun fact was most surprising to you? Tell us in the comments below!